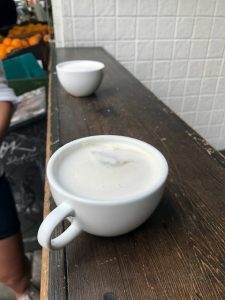 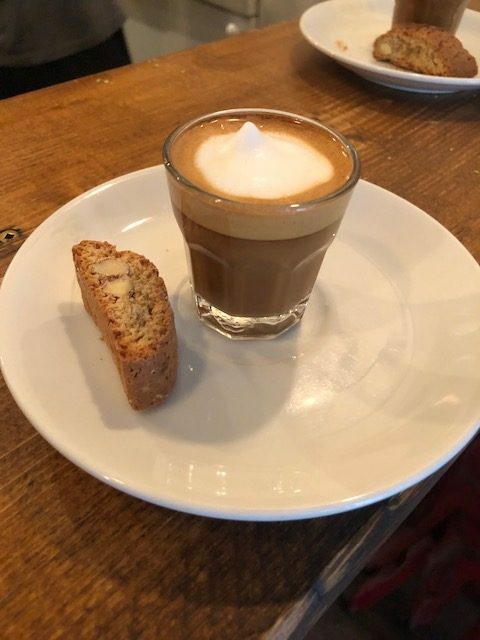 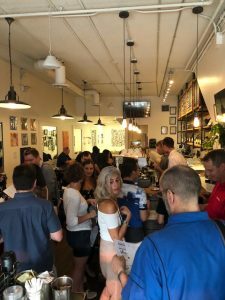 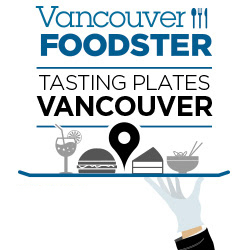 On Wednesday August 22, we presented another exciting tour in our Tasting Plates series as we returned and explored the Commercial Drive neighborhood. 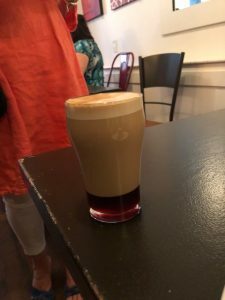 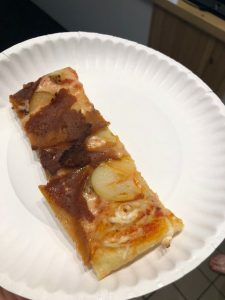 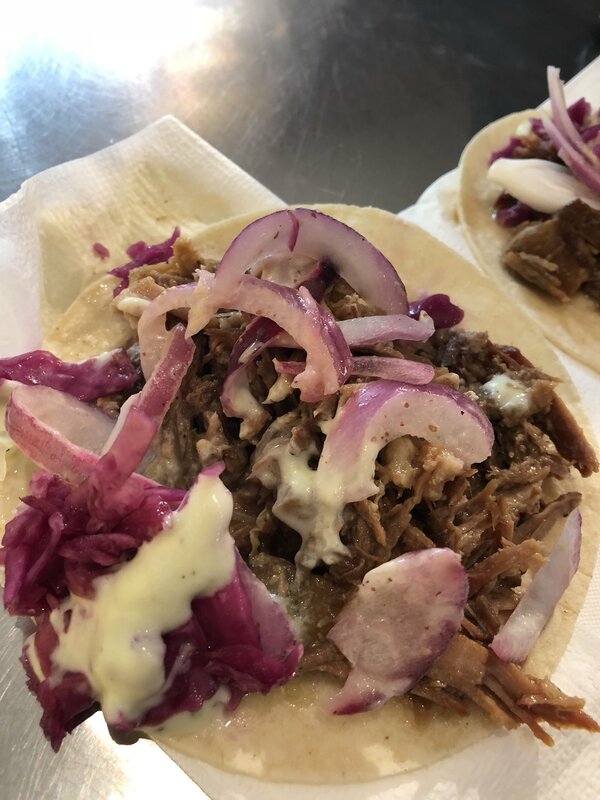 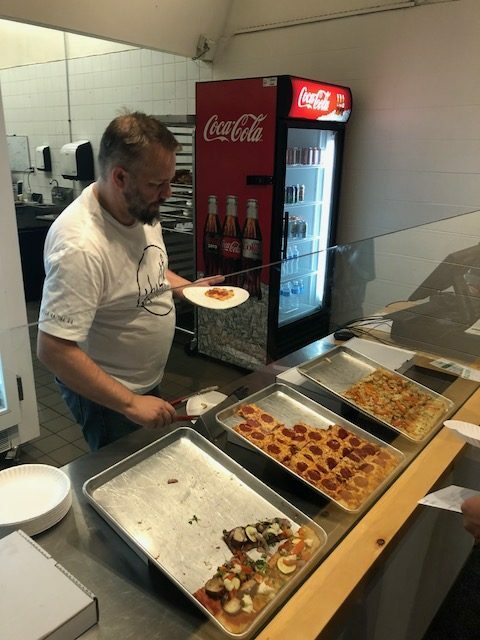 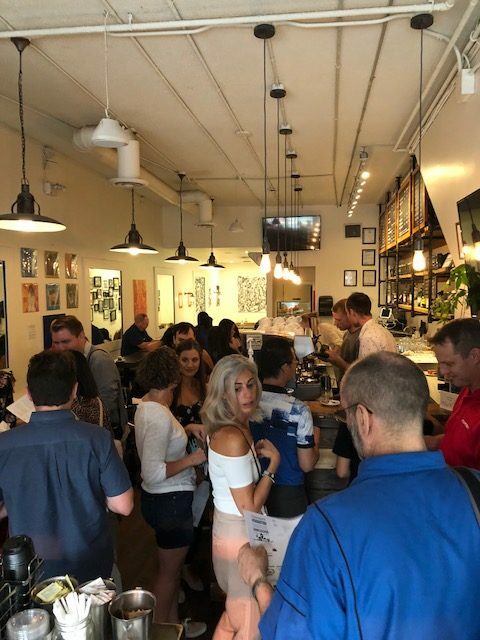 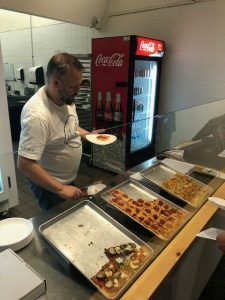 Attendees enjoyed tasty dishes included pizza, poke tacos, bagel sandwiches, pulled pork tacos, and more after kicking off the event at The Drive Coffee Bar with some coffee beverages. 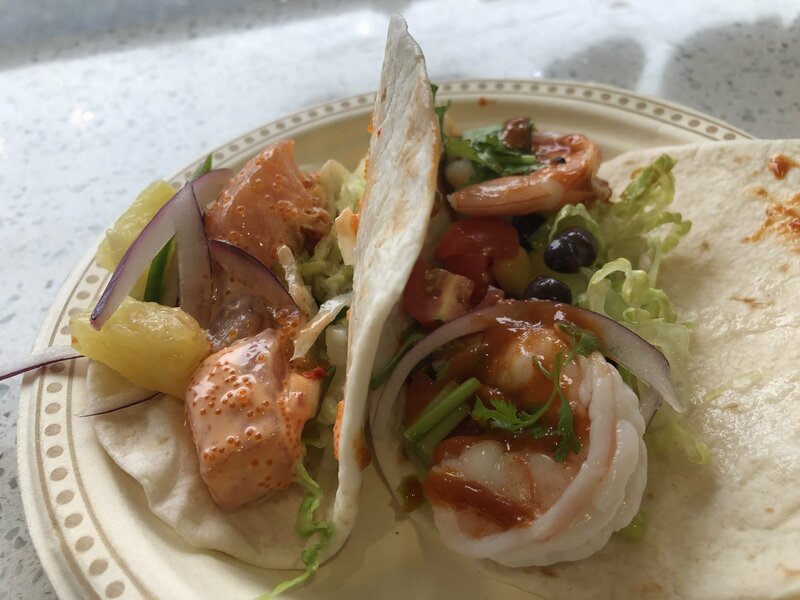 Dragon Breath Taco – Fresh Atlantic Salmon, Masago, Red Onion mixed with Sriracha Aioli. Kimchi, Pineapple and Birdseye chili. 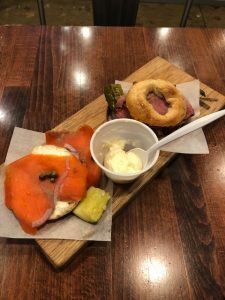 Mount Royal Sandwich – Rosemary rocksalt bagel with mustard and Montreal smoked meat. Steveston Sandwich – Rosemary rocksalt bagel with dill cream cheese, smoke salmon, capers and onions. 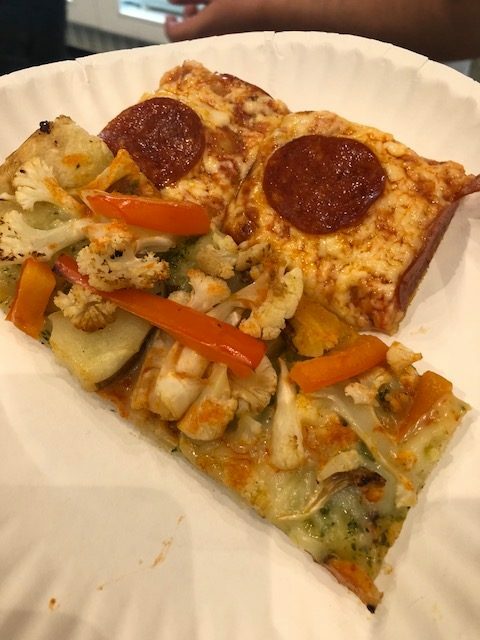 You choice of 3 slices of pizza from the selection of these vegan pizzas below and other non-vegan pizzas on rotation.